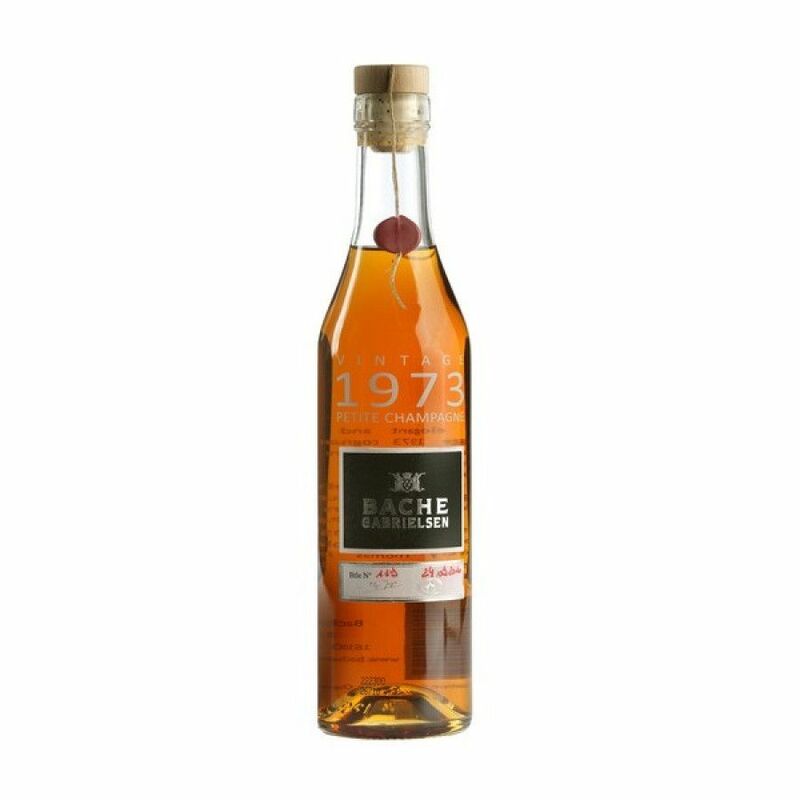 The Bache Gabrielsen Vintage 1973 Petite Champagne Cognac is a wonderful, strictly limited release, of a great vintage year harvest. Made from the fruits of Petite Champagne, this rustic, fruity Cognac has been allowed to naturally mature to an alcoholic content of 45 ° - making it powerful yet balanced, characteristic, and well-rounded. This 35cl bottle is in the traditional Cognac style, with the clean no-nonsense, contemporary labeling that we've become accustomed to with Bache Gabrielsen. The Cognac itself willd delight any connoisseur - a superb digestif to enjoy neat. Or, for the advenurous, add a block of ice to gently alter the tasting sensation.